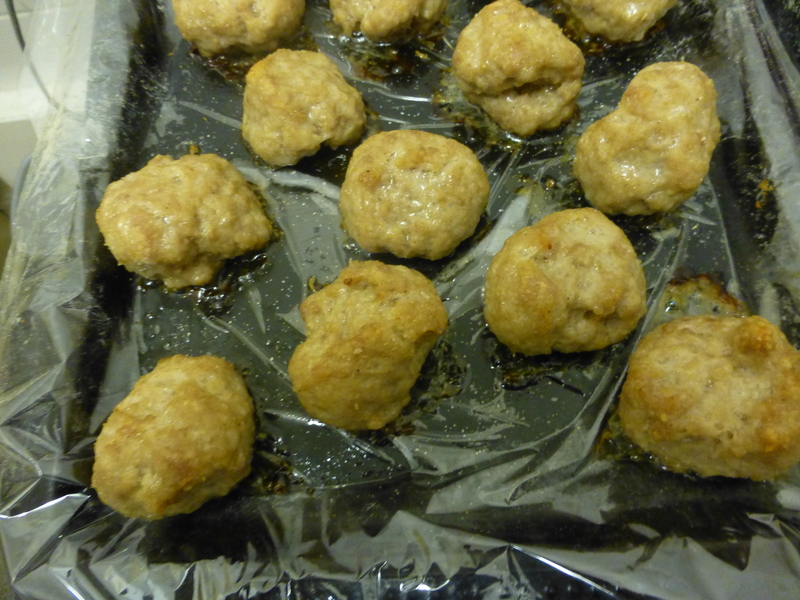 To start using a pair of desert spoons I separated the sausage meat into equal balls (also using a little flour on my hands to help shape the balls – the flour is to stop the meat sticking to your hands) and placing them into the oven for around 15 mins on the middle shelf. 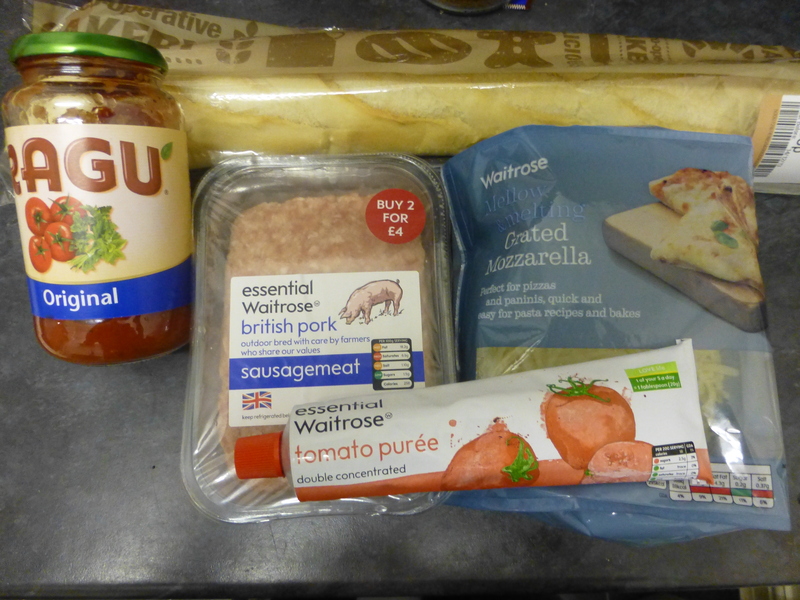 Next is the sauce this is around half a jar of a simple tomato based pasta sauce (any can be used including ones with garlic or chilli in to give added flavors) and a whole tube of tomato puree with the optional extra of a fresh chilli to give a kick of flavor. 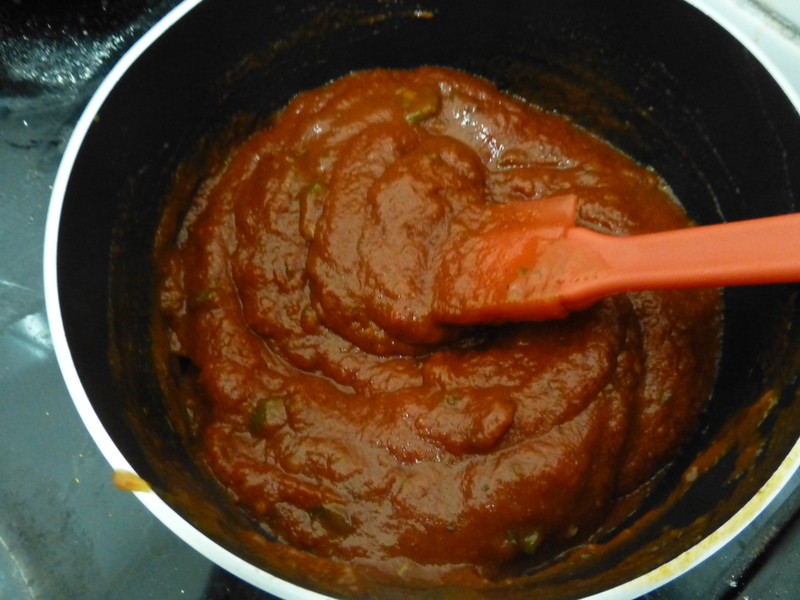 You heat this slowly and evenly on a low heat for the last 5-10 mins of the cooking of the meatballs so you do not burn the sauce. 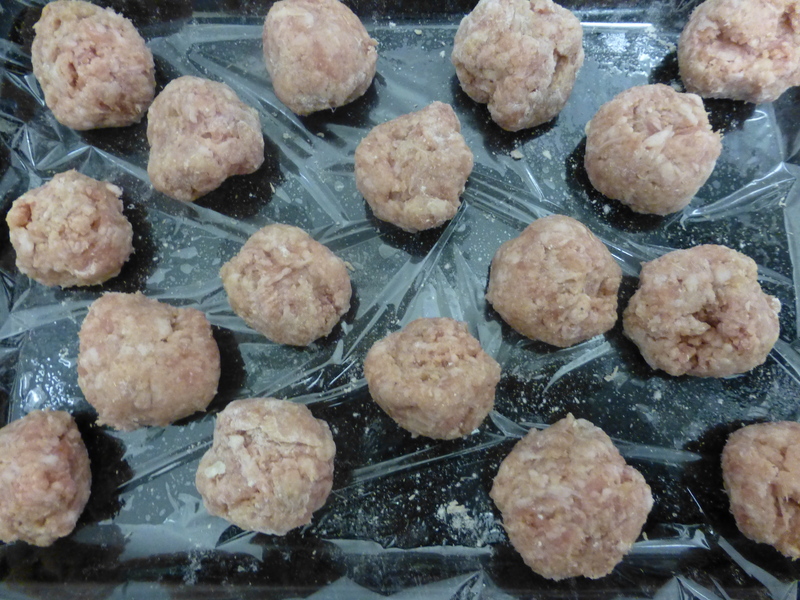 once the meatballs are a golden colour and cooked all the way through (you can check this by cutting one in half and making sure that it is not pink inside then it you are ready for making the subs. 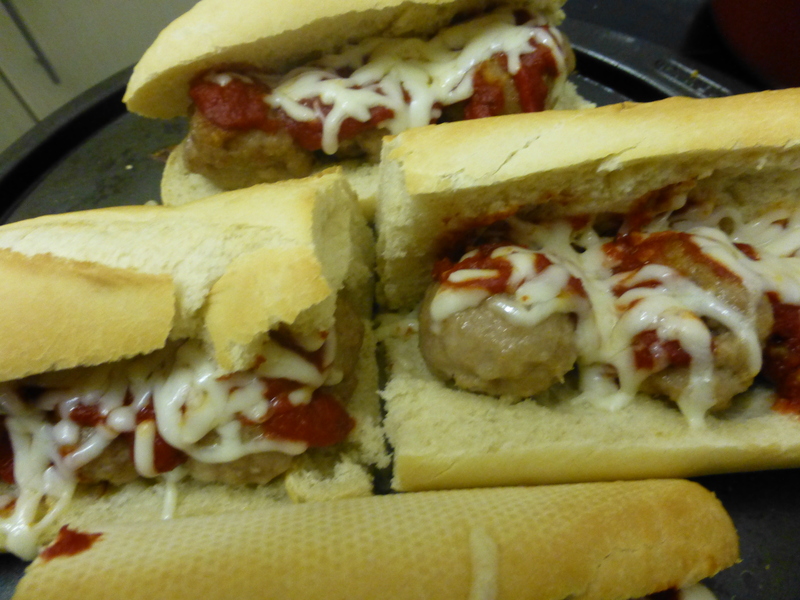 I cut the baguette into 4 equal pieces and put 3 meatballs into each piece as I made large meatballs, if you made small meatballs then more may be needed to fill the sub fully. 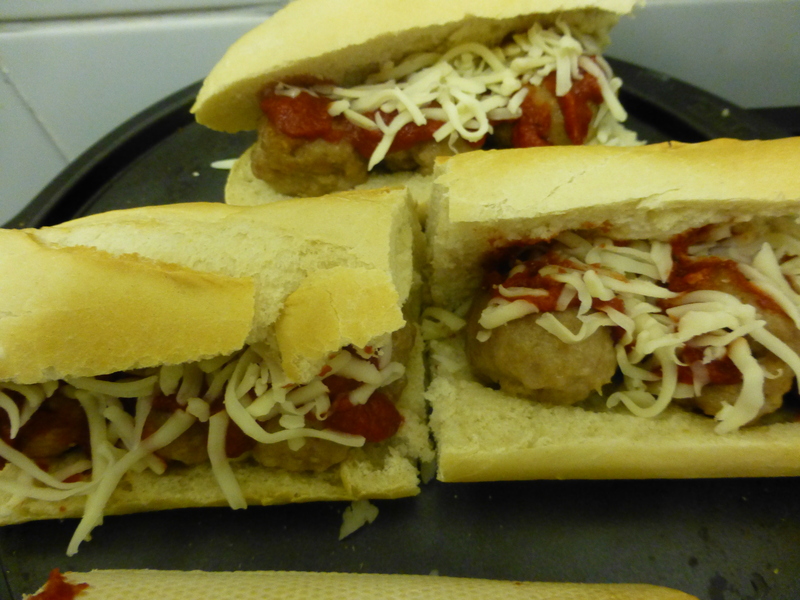 once the meatballs are in pour some of the sauce over them but not too much so the bread dosent get to soggy. Also to add to the flavor I added mozzarella, then put the subs back into the oven until the cheese has melted then enjoy.